Ayrton Senna da Silva was a Brazilian racing driver who won three Formula One world championships. Unfortunately, he was met with his demise while leading the 1994 San Marino Grand Prix. He remains the last driver fatality in Formula One. Senna has often been voted as one of the greatest Formula One drivers of all time in various motorsport polls. He was acclaimed for his wet weather performances, such as the 1984 Monaco Grand Prix, the 1985 Portuguese Grand Prix, and the 1993 European Grand Prix. He holds a record six victories at the prestigious Monaco Grand Prix, and is the third most successful driver of all time in terms of race wins. Senna began his motorsport career in karting, moving up to open-wheel racing in 1981, and winning the British Formula 3 championship in 1983. He made his Formula One debut with Toleman-Hart in 1984 before moving to Lotus-Renault the following year and winning six Grands Prix over the next three seasons. 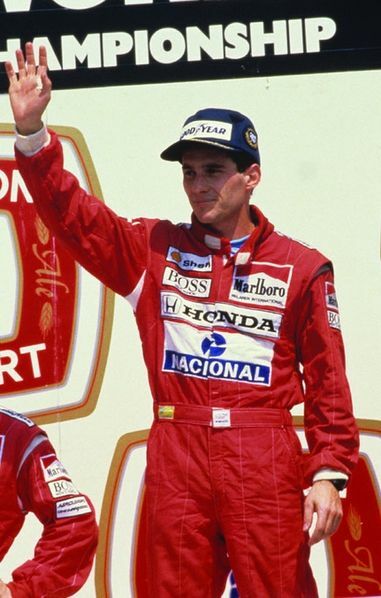 In 1988, he joined Frenchman Alain Prost at McLaren-Honda. Between them, they won all but one of the 16 Grands Prix that year and Senna claimed his first World Championship. Prost claimed the championship in 1989, and Senna his second and third championships in 1990 and 1991. In spite of Williams-Renault combination dominating Formula One, Senna nonetheless managed to finish the 1993 season as runner-up, winning five races and negotiating a move to Williams in 1994.